Yet another modern twist on the everyday lamp. It may not give out as much light as the lamp it pictures, but certainly is something original! Good idea but.. i think its not more then wastage of electricty. hahaha what a curious photo. 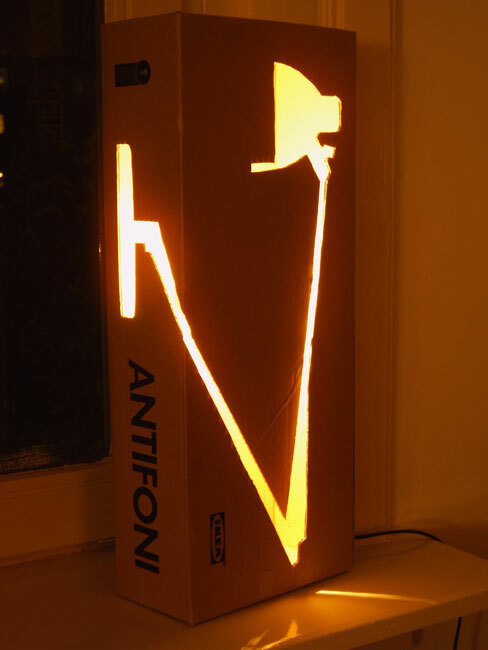 Intersting stuff, to create a fasion lamp using its box. High five! SEO is part science and part art. In science, some hypotheses are substantiated opinion and not theory. In art, much of the beauty is in the eye of the beholder. Best practices for SEO, usability and design, for example, will not produce the same results on A/B tests for sites with differing content and audience. The best on the blog interesting.Thanks! nice subject , hunt this from blogsearch and good luck for you.just add up the rss feed toward my reader,keep bring up to date!